Sumeet Mittal, producer of "Pehredaar Piya Ki" -- the show which was pulled off air due to its "obnoxious" plot -- says he was heartbroken when the controversy emerged. Having moved on, he is now looking forward to his new production "Yeh Un Dinon Ki Baat Hai". 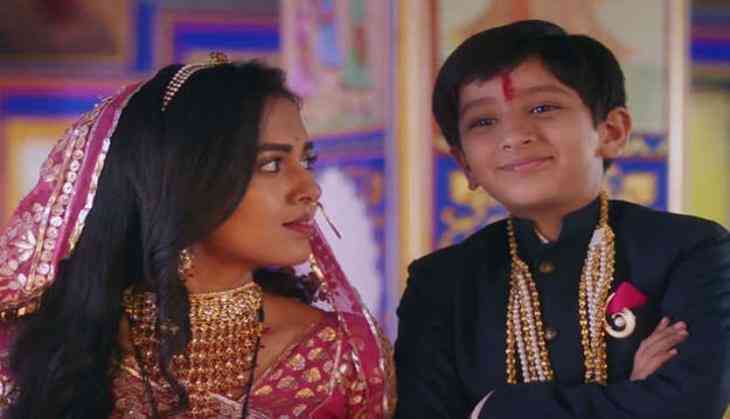 Sony Entertainment Television had last month pulled "Pehredaar Piya Ki" off air after a string of complaints to the Broadcasting Content Complaints Council (BCCC) against the show which revolved around an 18-year-old girl marrying a nine-year-old boy. The decision was reportedly taken under pressure from the Ministry of Information and Broadcasting. With his energy now focussed on the 1990s-set "Yeh Un Dinon Ki Baat Hai", a teenage love story which will go on air from Tuesday, Sumeet was asked about what made him take another risk and what was his learning from the controversy. He told IANS here: "We are creative people, so Shashi and I have seen a lot of ups and downs in our creative journey. Yes, I was heartbroken when even after giving a proper explanation to the authorities (BCCC), we had to stop the show. But you see, simultaneously we were developing this show 'Yeh Un Dinon Ki Baat Hai'. "So we managed to move on faster. This show allowed us to relive our personal love story all over again." He said: "We met in school and started a journey from there. We were 1990s' kids. While shooting the first boy-met-girl scene in the school, the boy walking hurriedly to the teacher and the girl coming from the opposite direction and they fall down for the obvious reason, I sat down and thought, 'Was that the way she looked at me?'." "A majority of Indian television audience is in small town areas where people still prefer family entertainment. The 1990s era is a golden time where we started introducing modern popular culture in a middle-class family. Youngsters started finding a way to convince their parents to live their lives in their way, and parents enforcing tradition and value in them. "These days, most parents let their kids do what they want to. Earlier, we always tried to find our own sweet little ways. And then the 1990s era brings an instant mood of nostalgia... So, it is relatable to the major audience." "In the 1990s, kids had a different body language, they were simple, innocent and something very sweet about it. School life love stories are more platonic. So we tried to capture that and installed some of those characteristics in our lead characters. We showed them some films like 'Qayamat Se Qayamat Tak' and made them listen to superhit songs from films like 'Chandni'," Sumeet said.